Vito & Nick's II Pizzeria & Restaurant franchise business opportunity. Free Vito & Nick's II Pizzeria & Restaurant business franchise information. In 1932, Vito Barraco, my grandfather, opened his first business on the south side of <?xml:namespace prefix = st1 ns = "urn:schemas-microsoft-com:office:smarttags" />Chicago located at 80th and Halsted, naming it Vito's Tavern. Working hard at a thriving business for 13 years, my grandfather relocated Vito's Tavern to 79th and Carpenter. My father, Nicholas Barraco, joined my grandfather in business with intentions to expand Vito's Tavern. The expansion started with a limited menu of Italian dishes prepared by my grandmother, Mary Barraco. Vito & Nick's soon became a welcomed name in the hearts of the neighborhood. Vito & Nick's was born. Shortly after, my mother, also named Mary Barraco, added the first pizza to the menu. The recipe was a cracker thin true original pizza that made its mark on history! 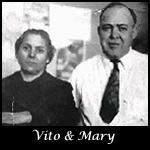 By the early 1960's the name Vito & Nick's had now become a household name known for having the "Best Pizza Anywhere". On June 25, 1965 my father and mother, Nicholas and Mary Barraco, along with their 7 children, moved Vito & Nick's to the southwest side of Chicago at 84th and Pulaski. My grandfather, Vito, entered retirement after years of hard work and success. 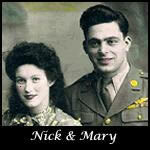 I, Nicholas Barraco II, continued my father's objective with further the expansion of Vito & Nick's. Working in this business my entire life, I personally have been fortunate enough to open two restaurants named Vito & Nick's II. My Vito & Nick's II restaurants are located in Hickory Hills, IL, and Mokena, IL. Thanks to all the wonderful people I have served over so many years, Vito & Nick's II has achieved great success. Thank You! Through the years Vito & Nick's II has been able to serve our loyal customers who live nearby. For many years, others did not have the chance to taste this great pizza. It was our resolution, after 10 years of research, to develop a process in which we can deliver the finest fresh frozen pizza, anywhere! Today, all our aspirations have come to be, Vito & Nick's II is now serving the nation. For the last couple of years we have been providing our fresh frozen pizzas to our friends all over the world with great response and success! We have been told that it is like having Nick in the kitchen at home! We appreciate that opportunity to serve you from far away. Soon after we were shipping our frozen pizzas to our loyal customers, we received emails and letters from the far and away Vito & Nick's II friends saying that the pizza tastes perfect and just like they got it in our restaurant. The only thing missing was the restaurant and the great atmosphere we all love when we are in a Vito & Nick's II. You asked for our pizza frozen, you got it....you ask for the restaurant??? Now you can have it!!! We are now offering franchise location opportunities so that you can enjoy all that we have enjoyed serving you for all these years! To learn more about the Vito & Nick's II Pizzeria & Restaurant franchise opportunity, simply complete the form below.